Last Friday we met my daughter’s friends at the playground, and she invited them home for an impromptu play date! While she was excited about the extended play time with her friends, I started thinking of what to serve the guests – mommies included. After several hours of running and biking, the kids were super hungry and and so were the moms. Once home I quickly tidied things up, stuffing toys here and there, setting back the cushions and you know the drill…the kids got impatient with hunger. 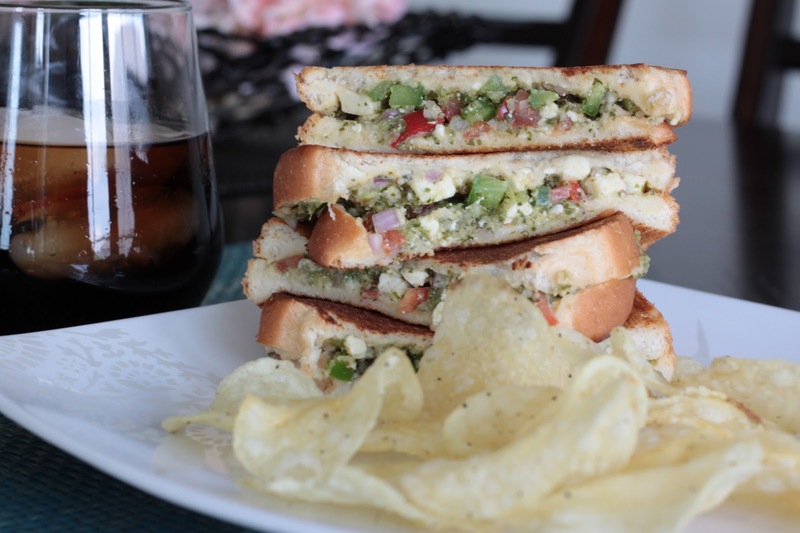 I ran my eyes through the refrigerator: had some paneer, veggies, green chutney – so sandwiches were my best bet. That is when I thought of this ‘jugaad’ sandwich. You’ll soon know why. I quickly chopped paneer and veggies, mixed in some dhaniya chutney and seasoned it with salt, then I remembered I had some hummus too. 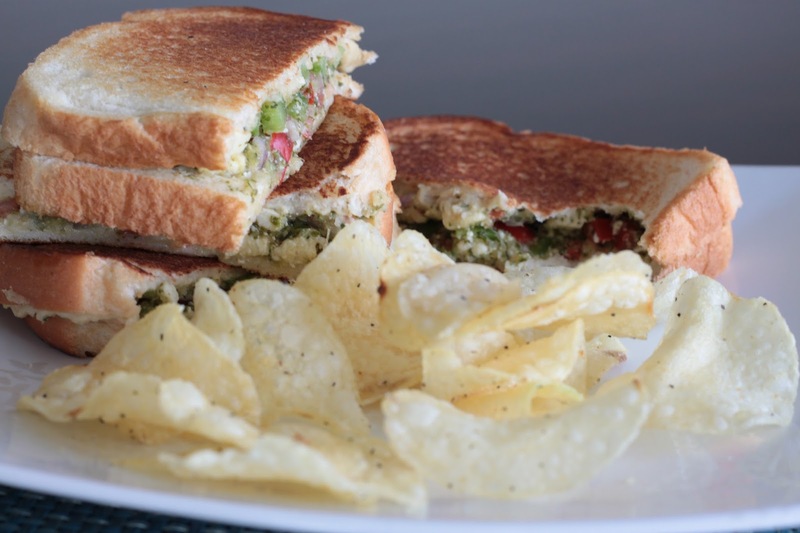 I applied some hummus on the bread, put the stuffing and grilled the sandwiches. Voila! Hummus and dhaniya chutney together sounds weird but it tastes awesome. Everyone – kids plus the moms – completely fell in love with it. Try to find out!! Since these are super healthy, you won’t feel guilty about the soda and chips chips that could accompany these sandwiches.